CCTV and the China Central Newreels corporation is launching an initiative to make classic Chinese poems into short films. This short film is based on the poem "Pusaman" written by the poet Wei Zhuang during the Tang Dynasty more than 1100 years ago. It tells an enchanting and tragic love story. 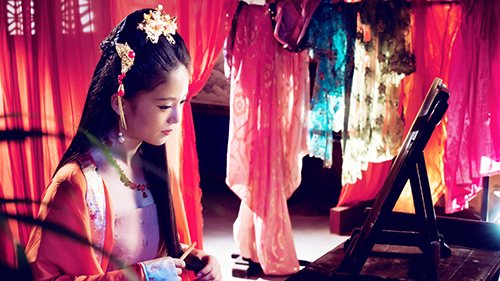 Another short film is based on 'Song of a Wanderer', also from the Tang dynasty. It reflects on the love of a mother for her son. The Tang dynasty period is believed to be the golden age of Chinese poetry. 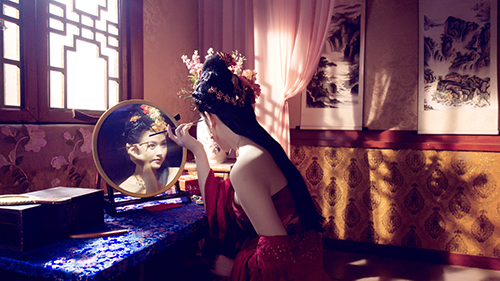 "I think film communicates Chinese traditional culture in a very powerful and vivid way. I think it will really help young people appreciate the beauty of Chinese poetry," said President of Beijing Film Academy Zhang Huijun. The production team carefully selected 108 poems to be adapted into short films. It explores the works through story-telling and recreating the life of the time. Each film is about 15 minutes long and involves top Chinese actors and directors. "We selected the best poems. We also selected them based on whether it is easy to make them into a story. That is vital for the short film," said deputy director of China Central Television Gao Feng. The initiative aims to promote China's rich heritage in literature, especially among the younger generation. 70 of the total 108 short films have already been completed, with the rest scheduled to be finished before the end of this year. The organizers have also invited 108 young singers to perform the theme songs for the films. They are also planning to produce picture-story books based on the poems. The goal is to eventually promote the entire collection of poems from the Tang dynasty.